Purchasing a vehicle is the biggest purchase after buying a home. And because of this fact, Lawrence Kia has your back and wants you to have a True Lifetime Warranty on your vehicle. Very few dealerships offer Complimentary True Lifetime Warranties on New & Used vehicles, (see disclaimers for used vehicle terms). 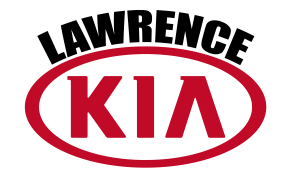 At Lawrence Kia we offer a True Lifetime Warranty which extends anywhere in the United States and Canada. We want shoppers in Omaha Nebraska to consider traveling 3 hours for the best price on a New or Used Vehicle, plus a Complimentary Omaha, NE True Lifetime Warranty. It really is a short drive from Omaha, NE to Lawrence,KS and only 40 minutes to downtown Kansas City. Because, we want your car buying experience to be exceptional, we are offering a $500 travel voucher. This voucher can cover staying at a nice hotel with a swimming pool, food & dining, let’s not forget the gas. Basically, we will pay for your semi-stay vacation while you purchase a vehicle. Not into traveling to purchase a vehicle, we offer a Vehicle Door-to-Door Concierge Service as well.